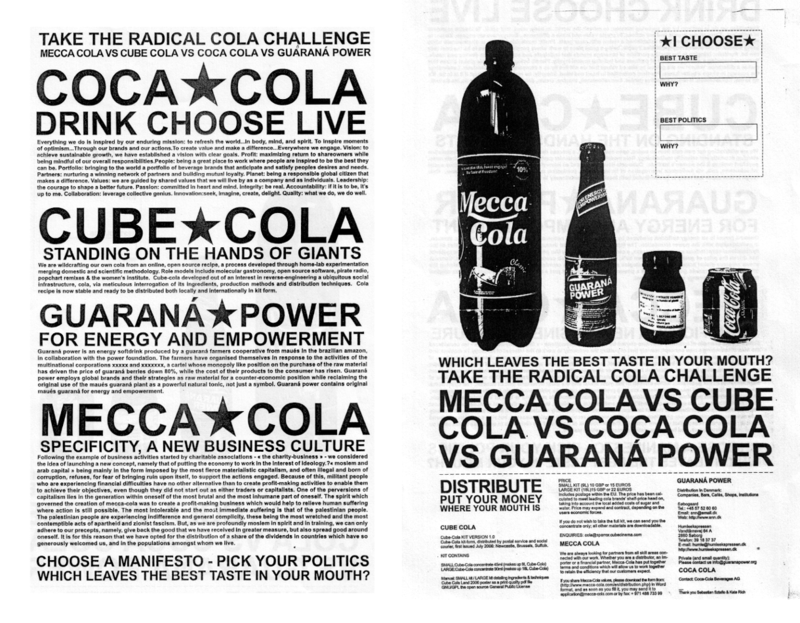 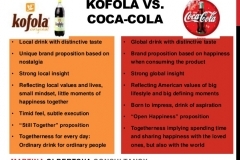 Designed by artist Amy Balkin, the ‘RADICAL COLA CHALLENGE’ compares ideology through taste and politics. 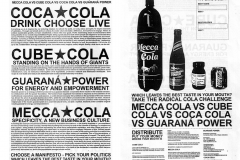 The tasters each ‘blind’ tasted three colas, each with their own distinct manifestos. 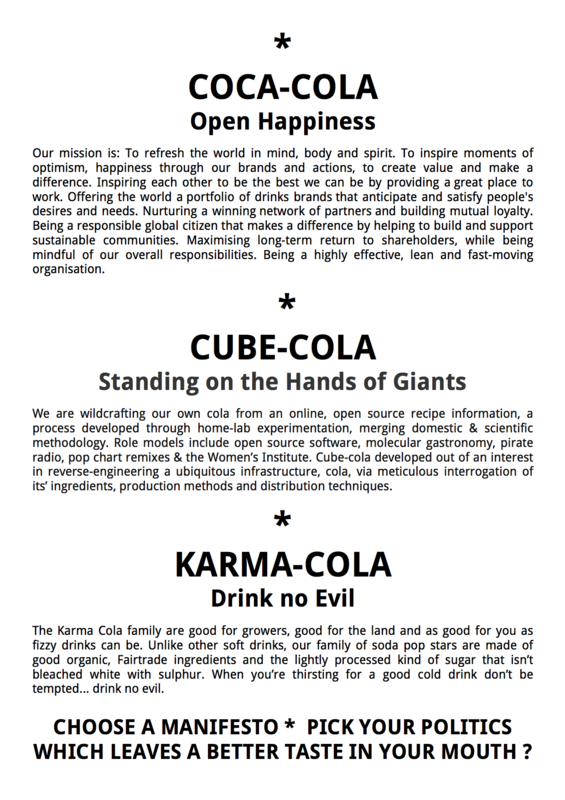 The tasters decided which taste and manifesto they preferred and if their ‘politics and tastes aligned’. 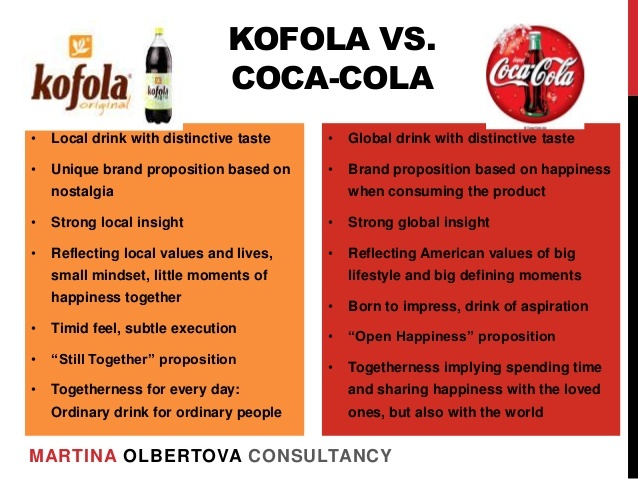 •Do your tastes and politics align? 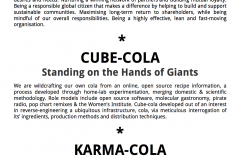 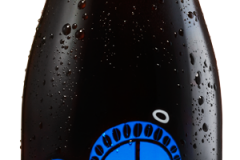 is an open source recipe reverse-engineered from the original Coke / coca-cola recipe. 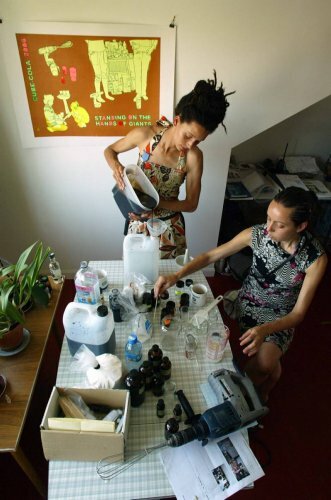 This project merges domestic and scientific methodologies whilst also challenging the corporate / capitalist strategies of intellectual property. 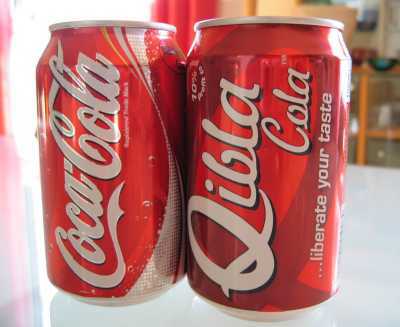 Originated in the communist Czechoslovakia from plant research and was popular as it became a substitute for Western cola-based drinks like Coca-Cola or Pepsi. 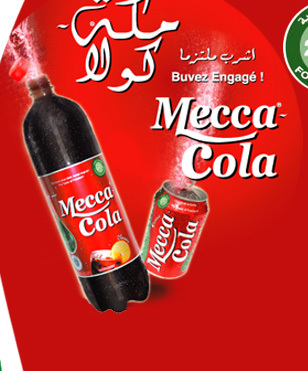 Marketed as an alternative to a notorious U.S. brands, Mecca-Cola was launched in France, in 2002, by Tawfik Mathlouthi as a means of aiding Palestinians. 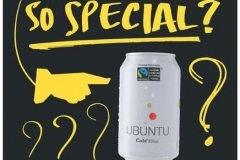 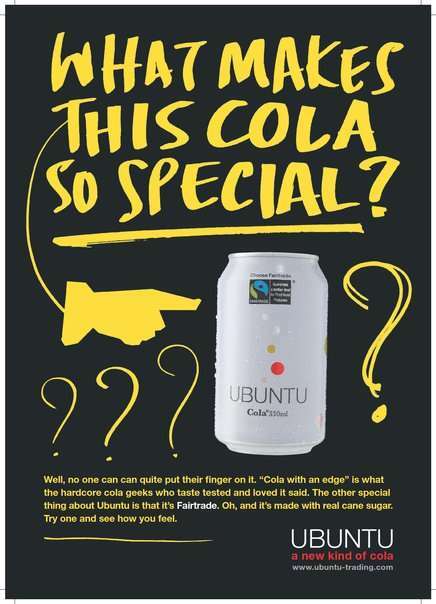 Fair trade cola with ingredients from Malawi & Zambia. 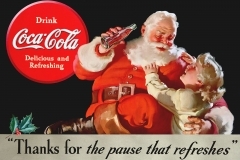 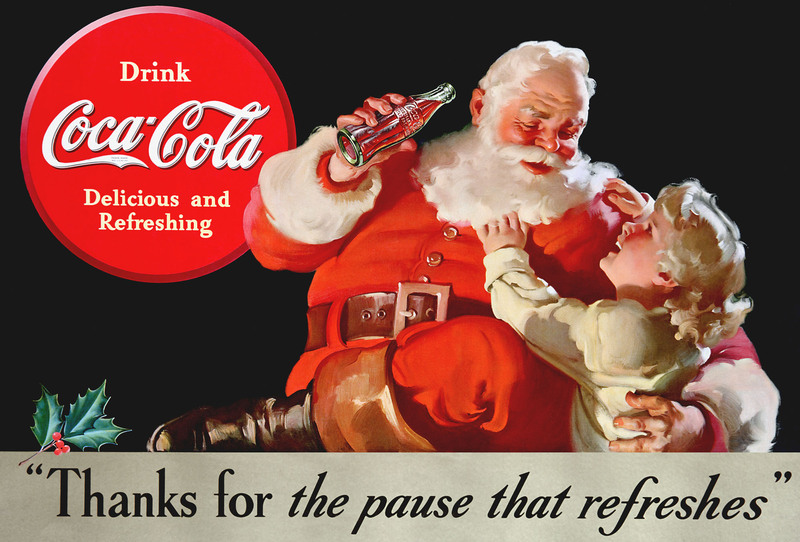 Invented in the late 19th century by John Pemberton, Coca-Cola was originally intended as a patent medicine consisting of kola nuts and coca leaves. . Brought out and marketed by businessman Asa Griggs Candler led Coke to dominance of the world soft-drink market throughout the 20th century. 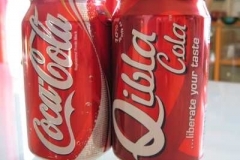 The drink’s name refers to two of its original ingredients. 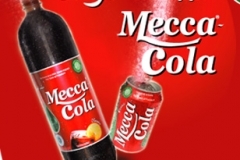 it has become a symbol of Western Capitalism, freedom/free market. 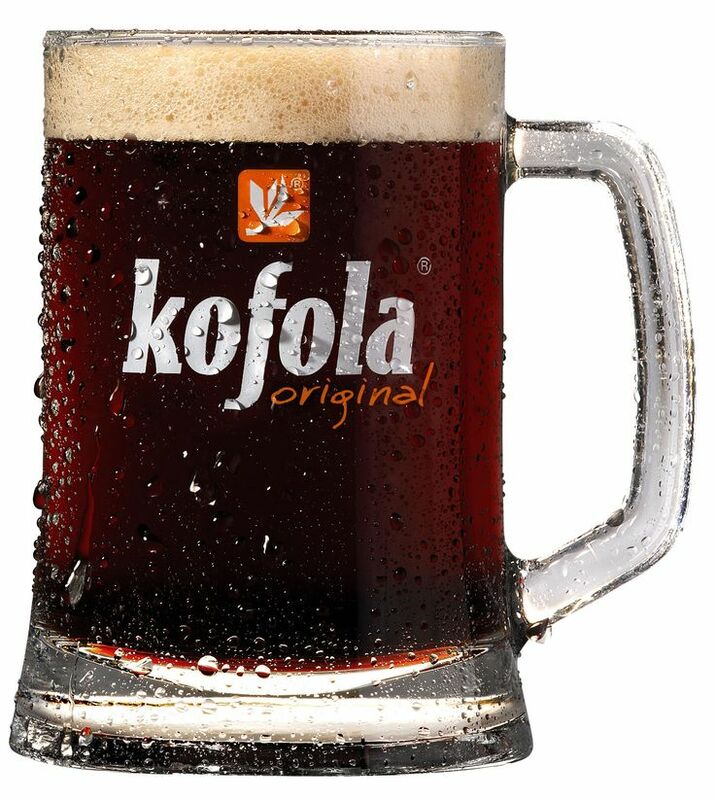 Made from the cola nut grown by the Mende and Temne people in Boma, Sierra Leone. 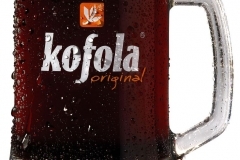 Proceeds go to the growers’ families to re-establish their lives in the aftermath of civil war and ebola.